Ohr Somayach has been a powerful presence in South Africa for almost two decades. Since 1980, when it conducted a seminar by invitation of the Zionist Federation, Ohr Somayach has maintained a strong presence in South Africa. Since then, it has won recognition as the most dynamic Jewish student organization. Initially, "task forces" of Ohr Somayach-Jerusalem staff and students traveled to Johannesburg to organize seminars and lecture tours for the Jewish day schools and university students. In 1987, Ohr Somayach purchased property and established a center in the northern suburbs of Johannesburg. Since then, the Ohr Somayach Community has expanded into four synagogues and a major learning center serving thousands of people in Johannesburg, in Cape Town, and other communities. Ohr Somayach of South Africa offers lectures, seminars, Shabbat weekends, a full time learning program, publications and tours to Israel. 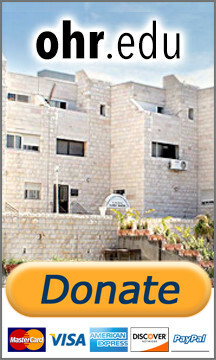 The establishment of a new Beit Medrash - study hall in 1990, was to facilitate the increased attendance at programs and to better accommodate the growing Ohr Somayach community. The establishment of a Beit Medrash in 1990, and a Kolel in 1996, added new dimensions to the study programs, preparing students for learning in Israel and providing for the needs of those returning from Israel.